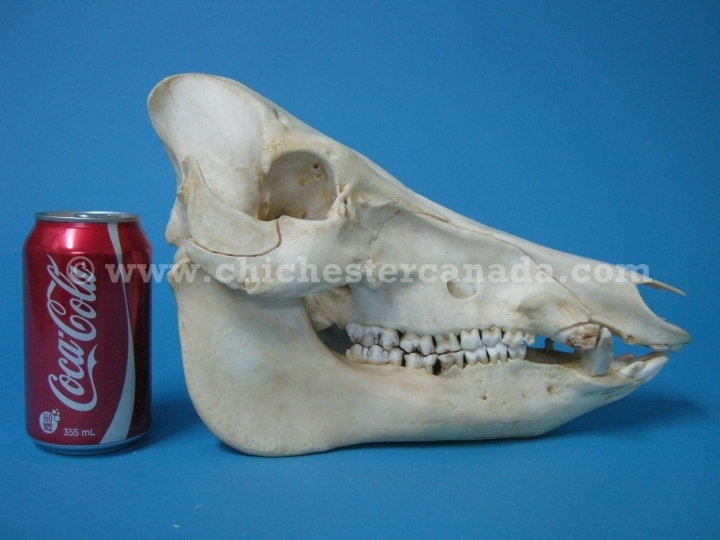 See the side and a size comparison with a soda can. 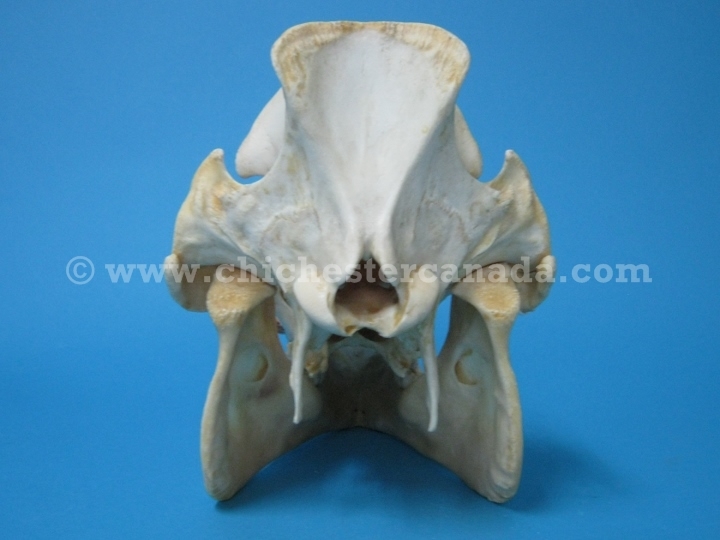 See the back and an open view of the skull. 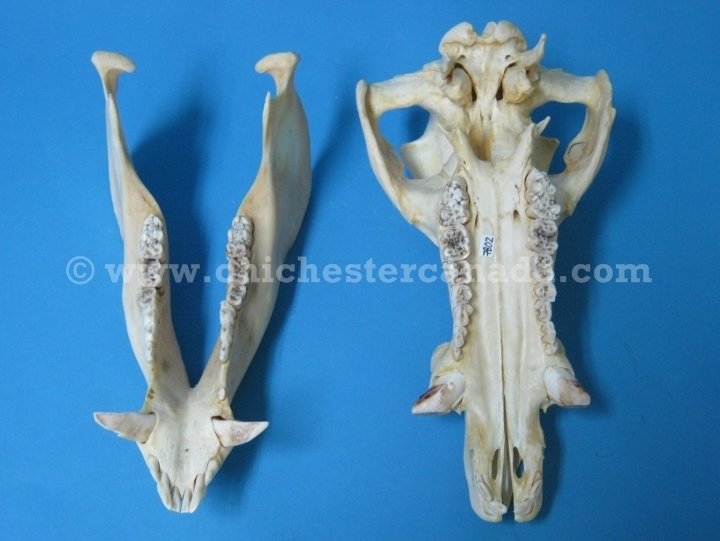 These are real trading post-grade boar (domestic pig) skulls. They may have some missing and/or cracked teeth and tusks. 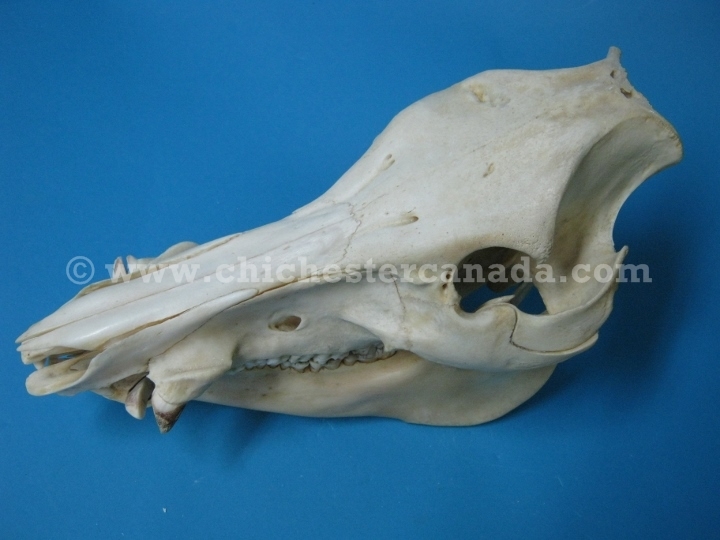 We measured one skull to be 28 cm long, 14 cm wide and 20 cm high, weighing 1.16 kg.